SALT LAKE CITY – For the fourth consecutive year, Utah-based Cariloha, has been named a Best of State medal winner and a Best of State Statue (The Boss) winner for the second time in four years in its own respective category. 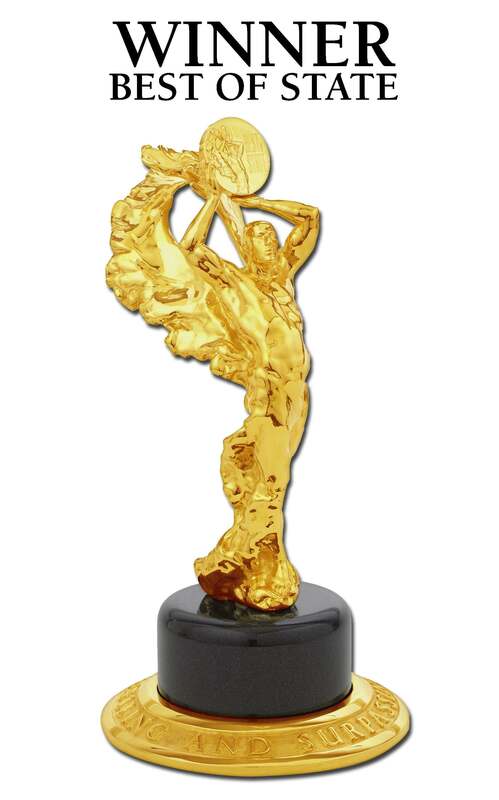 The Best of State Awards recognize outstanding individuals, organizations, and businesses in Utah. The panel of impartial Best of State judges determine individuals, businesses and organizations that excel in their endeavors, use innovative approaches or methods in their business practices, and contribute to a better quality of life in Utah. Winners from each category receive a Best of State medal. Best of State winners also receive the right to display the Best of State logo and year of award on business correspondence, their website and other promotional materials. Medal winner nominations are then resubmitted to the judges and scored again. The highest scoring entry from each of the 10 general categories is selected to receive the BOSS (Best of State Statue). 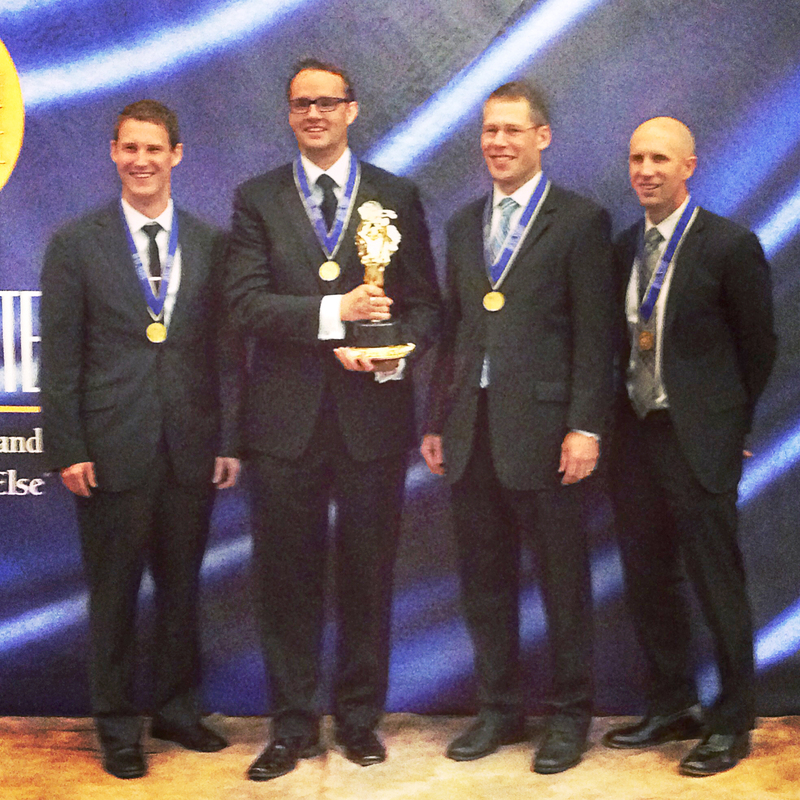 BOSS awards and medals were presented at the Best of State Awards Gala in Salt Lake City on Saturday, May 11. Cariloha won the Best of State Medal and then the coveted Best of State Statue out of 40+ other businesses within its respective category. 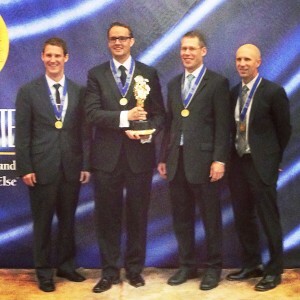 L to R: Aaron Hobson (EVP of Marketing), Jeff Pedersen (Founder, CEO), Brent Rowser (CFO), Dustin Tate (EVP of Sales). Cariloha is the world’s only store completely merchandised with ultra-soft, comfortable apparel and accessories made of bamboo. 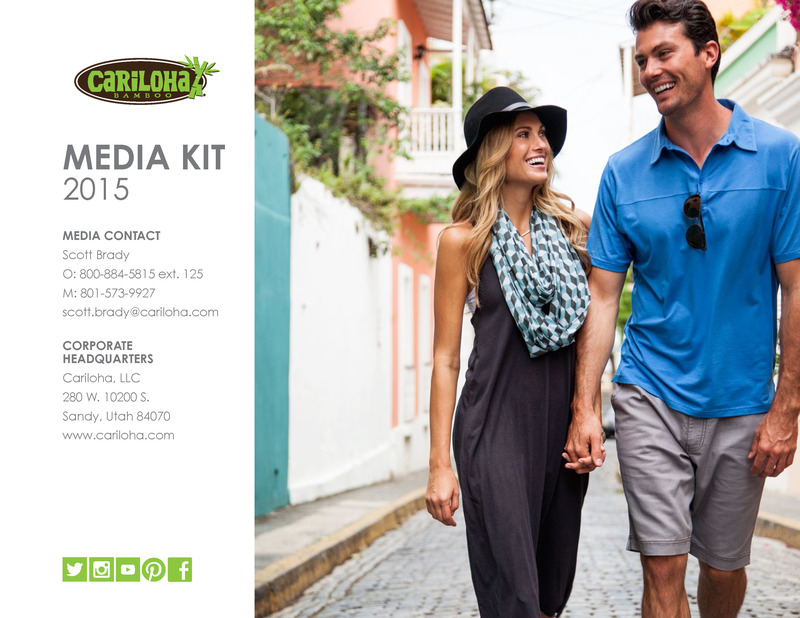 Cariloha has grown from an idea, in 2007, to 32 stores in 12 countries today. It’s a unique retail brand, designed for a modern, environmentally conscious era, that’s all about bamboo-based products. Cariloha’s soft, breezy bamboo goods were first seen out of three, stand-alone stores in Ocho Rios, Jamaica; Cozumel, Mexico; and St. Thomas, USVI. The new brand has quickly become one of the fastest-growing merchants promoted on board Carnival, Celebrity, Disney, Princess, Royal Caribbean and Norwegian Cruise Lines. Thanks to an ever-growing, rich supply of bamboo, Cariloha will continue to offer an exclusive collection of apparel, accessories, home décor, bed and bath sets and more all enjoying the strength, soft touch, and green ‘footprint’ of this renewable resource.